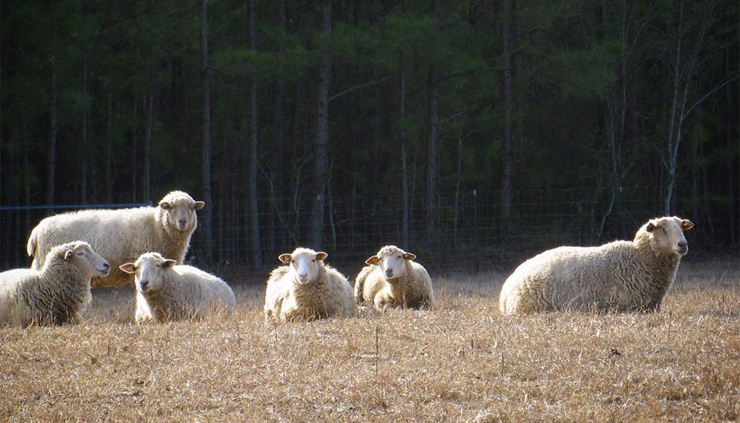 Image of six Gulf Coast Native Sheep sitting and standing in a field. On this edition of Georgia College Connections, Georgia College Faculty member Cynthia Alby talks about Shangri-Baa, a 27-acre farm in Gordon, Georgia, dedicated to the preservation of Gulf Coast Native Sheep and the Pyrenes Mastiff dogs that help protect the herd. Alby also talks about the larger issue of the world’s shrinking agrobiodiversity and what she’s doing to affect that issue from their 27-acre corner of the world—Shangri-Baa.